Click Here to Get This Meditation Now! Instantly activate your unique ascension codes! Ascension Codes are energies you carry within, that when awakened, trigger remembrance of your full power as a spiritual being. Ascension codes help to awaken your spiritual gifts and abilities, strengthen your intuition, co-creation, and manifestation abilities… And they support you in aligning with your highest level of light mastery. 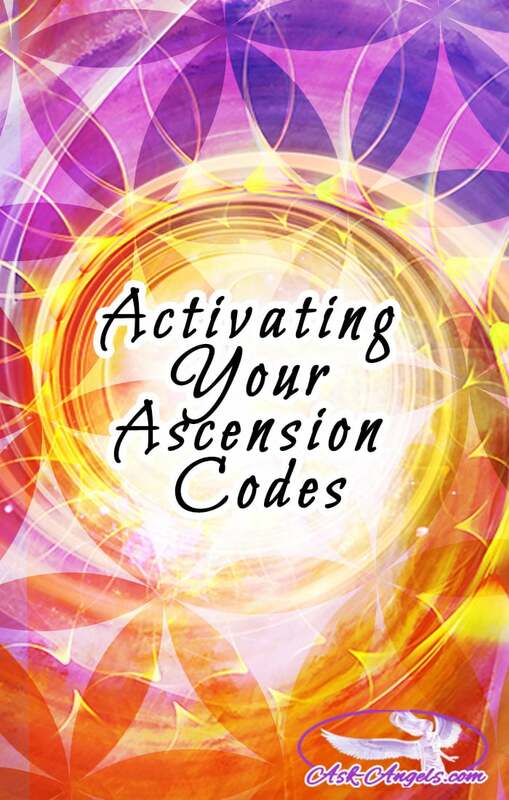 Activating your ascension codes empowers you to start living as the aware, awakened, enlightened, abundant, spiritual being in physical form you're meant to be here and now. This incredible new session is set to beautiful meditative music to help you relax deeply, so you can blissfully experience the incredible frequency transmission present throughout. Ascension codes, that have always been within you, and are just waiting to be activated, and brought to the surface, so they can make a difference in your life. This session will support you with just that! Channeled by Melanie Beckler, Now Available For Only $17! Click “Add to Card” below to get instant access to this powerful Archangel Activation. I know you’re going to love this activation and the incredible energy that's broadcast throughout. If for some reason you don't love it, or feel that it's not for you, just send me an email letting me know and I'll refund your entire payment, no questions asked. But… You're going to love it! Because it's pure love and light, and will help you to shine with more love and light right now. P.S. Curious What Others Are Saying About Activating Your Ascension Codes so far? “That was powerful.My hands and feet were like i put them into a socket. I would like to know if I am a angel messager to help people dear friend love you always. I look forward to this, this wknd !!! Thank you, Melanie. Thanks and thanks Melanie. Very powerful and i love to receive more. May God blessings be yours always !!! I know i send a massage alraedy,i try this morning and nothing i feel like am doing something wrong,my beck feels tied.and i cant concentate. What if we don’t have the money to the activation!? We won’t be activated!? Thanks! Your awesome by the way Melanie! God bless you!